About 20 months ago, telecom service provider Bharti Airtel was termed as emerging market multinational when it acquired most of the African assets of Kuwait’s Zain Telecom for a $10.7 billion deal to fulfill its global aspirations. However, there is a big difference in being termed as an Indian MNC and seeing those dreams fructify into reality. That’s what India’s top mobile phone carrier seems to have excelled in: though it took more than one year for Bharti Airtel to spread its wings across the African continent, today the telecom giant can proudly boast of over 50 million customers in Africa. However, this deal was no less than rough weather in foreign waters for Bharti Airtel. Zain’s profitability was estimated to be lower than that of Bharti despite average higher spending by its users. In final analysis, the management placed its bet on the fact that only one in two Africans held mobile phone then. But, Bharti was not the one to take things lying down on the floor. Punch, came the first salvo from its subsidiary Zain Kenya in August 2010, in which it announced a deep cut in tariff charges in a bid to capture new subscribers and drive volume growth in highly under-penetrated African markets. Zain Kenya halved its voice call tariffs from Sh6 to Sh3 (3 shillings) per minute and cut text messaging price by 80% across all networks, to strengthen its presence in Kenya’s 20 million mobile phone market. Thus, the seeds of Bharti’s famous “minutes factory” business plan was sowed in Africa too. Airtel Africa has already invested about $1 billion in the network infrastructure and facility upgrade during the current financial year. Also, Airtel was recently awarded license to operate 2G and 3G GSM mobile services in Rwanda, which is Africa’s fastest growing telecom market with mobile penetration below the 40% mark. In fact, the Indian telecom giant is set to invest $100 million over three years to gain its foothold in the key telecom market of Rwanda with a 10.4 million population, to strengthen its reach in East Africa. Africa has also notched up strong revenue growth of 23% for the quarter ended September 30 for Bharti Airtel. Also, its African revenues crossed $1 billion per quarter for the first time ever. The company’s African division is yet to turn up green, but the Indian telecom giant is gung-ho on the future prospects of mobile business in the continent. Quiz time: Bharti targets to double up its customer base in Africa by March 2013 end. Do you feel management can come true on this internal projection going forward? Exploring new markets are usually tough, but destination Africa is the right choice Airtel made. I think it’s the right projection by Airtel to double its customer base in Africa when the huge demand for Telecom service in Africa is taken into consideration. I don’t know about its service in Africa but here in India, Airtel provides the best service. 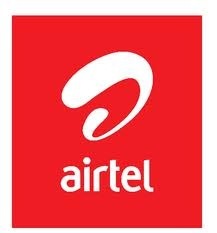 Hats off to the Airtel for crossing 50 million subscriber in Africa.